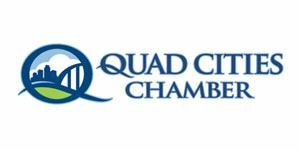 Home » Articles » Things To Do » Hop Downtown Moline for this Holiday Event! 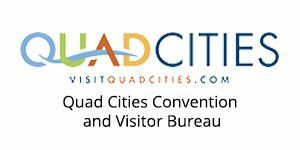 Hop Downtown Moline for this Holiday Event! Downtown Moline will be kicking off the 2018 Holiday Season this weekend with the 2nd Annual Holiday Hop! The Moline Centre Holiday Hop involves over 40 unique stores, restaurants and much more! On Friday Nov 9 from 4-8 p.m. this free event will provide to be a magical and memorable evening for all. 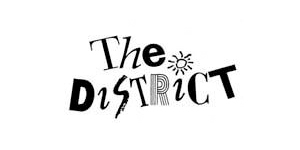 An array of family-friendly events will be available, including children’s holiday movies at the Black Box Theatre and the Boys & Girls Club. There will also be live music, arts, crafts, in-house specials, food, refreshments, interactive games, carolers, and even Santa! New season? New hairstyle. Get a haircut at Anne Layne Studio, where women’s cuts are $20, men’s cuts are $12, exfoliation is $10 and brow waxes are free. Prepare for winter hibernation by getting $3 off every large specialty pizza. Order a bottle of wine with dinner and receive half off the bottle’s price. Get $3 off any draft beer. Get in the holiday spirit by watching Christmas movies on the patio with your dinner. Children receive complimentary Kinderpunsch and Frittierte Schneebälle (fried snowballs). Glühwein, seasonal mulled wine, is also available for adult purchase. He’s making his list and checking it twice: Santa will be at the Black Box Theatre to give out free books to kids while children’s Christmas movies play. Stop by for the chance to win a free hair cut certificate and enjoy some refreshments. Play in all the reindeer games at the Boys & Girls Club, where there will be free hot chocolate, popcorn, crafts and games for kids. Come through to elevate your hairstyle with the chance to win a raffle basket of elegance products, as well as refreshments for everyone. Warm up as temperatures drop with free coffee, a chocolate fountain and other treats. Fog up your glasses with a free hot chocolate after any purchase of food or a gift basket. Get creative with free cider and hand-crafted cupcakes. Remix it up with a set from DJ Thadius. Just because it’s cold doesn’t mean you can’t stay on top of the hottest trends in clothes: get 15% off all regular priced items. Stop by to support local Floreciente businesses, including Don Chuy’s Enchiladas, Carmen’s Jewelry, Chocofresas Ice Cream Shop, Boost Mobile and Nueva Vida Health Products. Feeling like you lost some inches (after a haircut)? Recuperate with free beverages and snacks. Keep your body healthy with 20% off regular priced goods and free samples. Decorate your home with the holidays and get a free Gift with any purchase while in-house entertainment plays. Enjoy a freaky-fast and free sample sandwich. Who says flowers can’t bloom in the winter? Enjoy 20% off everything storewide with free refreshments. He’s a mean one, Mr. Grinch — get a selfie with the Grinch and listen to Christmas music as you drink shots of hot fudge if he proves too grumpy for the holidays. It’s time for Chriskindlemarkt, the most holly and jolly of Christmas markets. The puck drops for the game against the Birmingham Bulls at 7:10 p.m.
It’s fish and shrimp night with special dishes at $13.99. Buy 2 chorizo, shrimp or pork shoulder taco get one free. Mix and match however they like. Limit one per customer. Look at someone who’s more frozen than you feel — ice sculptures will be available for special viewing at the Riverhouse Landing. Shamelessly walk in for the chance to win tickets to see Disney on Ice: Frozen. Find out if Stoney Creek’s got the softest of marshmallowest at their complimentary hot chocolate station as Christmas music plays. Enjoy the beautiful decorations in the windows. Have the winter blues got you down? Get a free chair massage, gift bag, cider, and cookies to lift your holiday spirits. 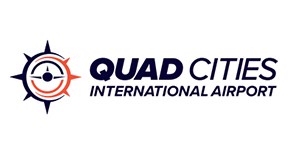 The puck drops for the Quad City Storm game against the Birmingham Bulls at 7:10 p.m.
Take a break — domestic bottles are $2 while cooler shots are $3. Upgrade your palate and add to your palette with free wine and cheese, personalized stationery for the first 100 customers and live music. On Friday and Saturday, receive $10 WaterMark Cash for every $50 spent (good toward any purchase in December). 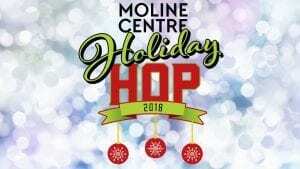 For updates and more information, visit http://www.molinecentre.org/events/moline-centre-holiday-hop-1 or on Facebook at https://www.facebook.com/events/1861954170578904/. Make plans to hop on Downtown Moline this Friday night for an evening filled with holiday fun! 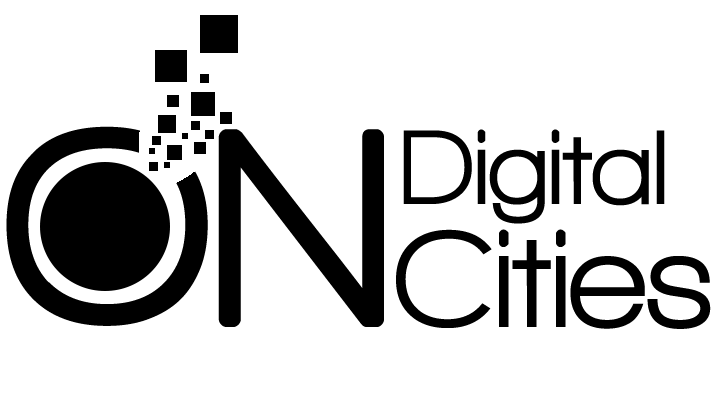 And don’t worry about having to travel on foot to each of the participating businesses because there will be free trolley service available!